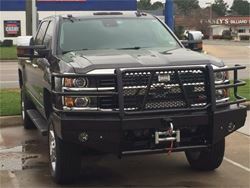 Sport Series: Provides maximum protection for your vehicle including wraparound grille guard style headlight protection. The 15K winch option comes standard with a formed channel bumper and holds up to a 16,500 lb Warn winch. Comes standard with 2" receiver and durable super polyester black powder coat finish. 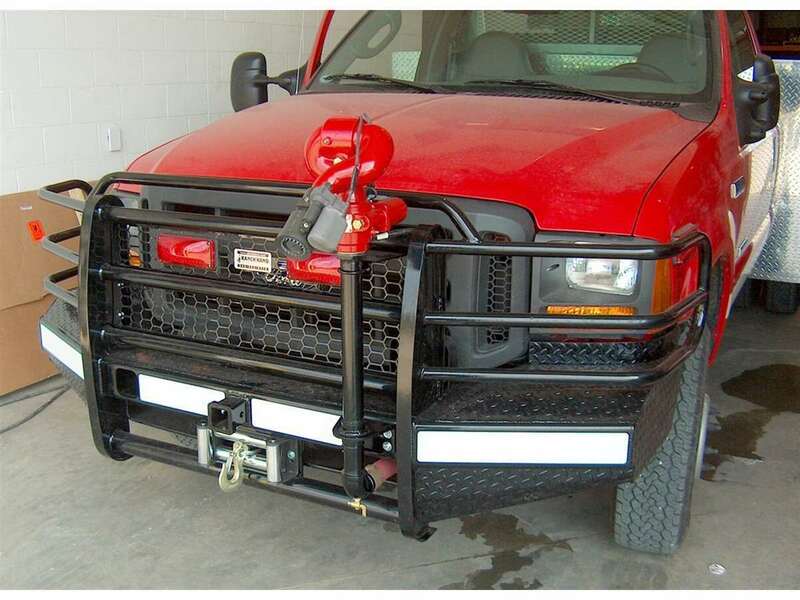 Ranch Hand created winch ready front bumpers to do some hard work. Able to accommodate up to a 16,500 lb Warn winch, winch bumpers are built from ¼” formed channel and offer a 2” receiver. Available in both the grille guard replacement or bullnose style, the Sport Series winch ready bumpers are ready for an adventure.